Amenities have always been in short supply, and not just in the matter of architectural style. 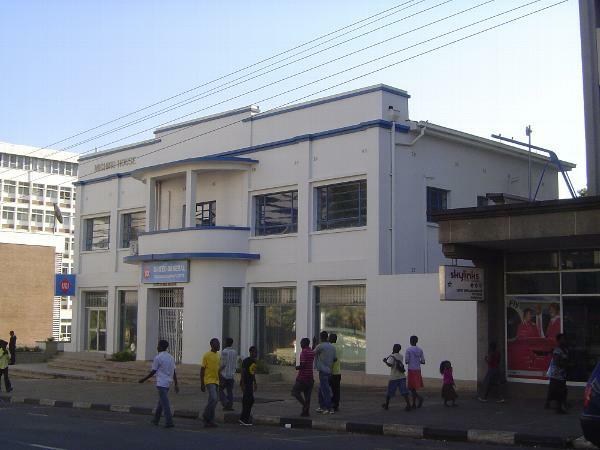 It was not until 1927-8 that the city council agreed that Blantyre should have electricity and piped water. Power on Sunday didn't come until the late '30s. A few more such details can be gleaned from Vera Garland's Ryalls--A Woman and Her Hotel (Blantyre, 1996), which deals with the city's best-known hotel, now part of South Africa's Protea chain.